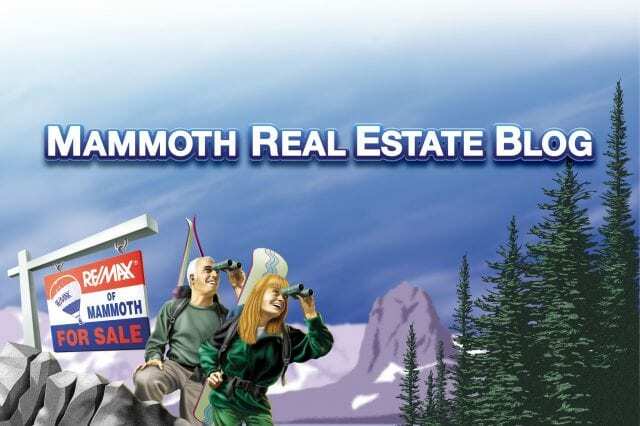 Mammoth Real Estate Q & A: The Past Will Equal The Future…. Home/ Blog / Question and Answer/ Mammoth Real Estate Q & A: The Past Will Equal The Future…. This Mammoth Real Estate Q & A appears in this week’s The Sheet, the annual Year In Review issue…. Q: Mammoth has had a rocky time the past couple of years; the bankruptcy, loss of town managers and other critical government personnel, etc. How are these events going to affect real estate in the next couple of years? A: Relatively speaking, the Town of Mammoth Lakes isn’t nearly as screwed up as the City of Los Angeles, or the State of California, or Washington DC. But for those out of touch, the Town withdrew from the bankruptcy after settling with their major creditor and the Town government is in the process of re-structuring and re-hiring. The commotion of the past few years will ultimately affect the real estate market in small ways. But quite frankly, not much has changed (but keep reading). The bankruptcy process DID clean-up the Town’s accounting and provided some financial clarity. Plenty of fat was cut, contracts were re-negotiated, and government salaries re-evaluated. And new financial systems (namely software) have been put into place. It has also made everybody more acutely aware of Mammoth’s golden goose––bed tax, or more commonly known as TOT (transient occupancy tax). Our visitors pay the tax but our local real estate is what generates it. 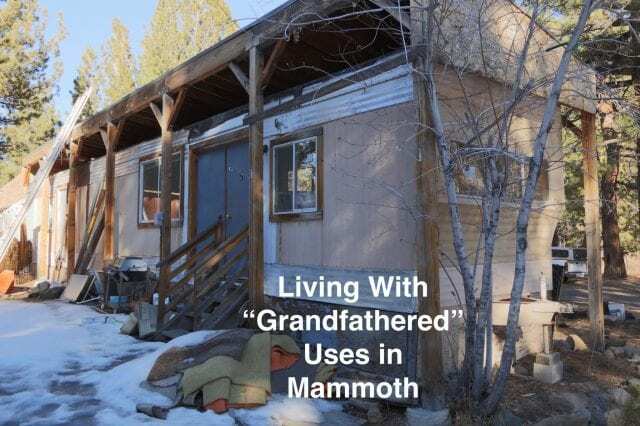 In Mammoth, it is a broad spectrum of properties and owners that generate it. As internet marketing and “self-renting” has evolved in the past ten years, a significant amount of TOT went unpaid. The Town now knows it cannot let these tax collections escape. The owners of all transient income producing properties will come under greater scrutiny. But therein lies the Town’s best argument for allowing transient rentals in single-family neighborhoods. The inventory is already built (no waiting 4-6 years or beyond). There are all sorts of really great homes all the way to luxury mansions. And based on history, these are exactly what many of the visitors want to rent. We’ll see if there is desire for change. The BK experience has made the Town aggressive on generating and collecting TOT. Changing the ordinance would change the dynamics of the single-family neighborhoods (and likely values too). 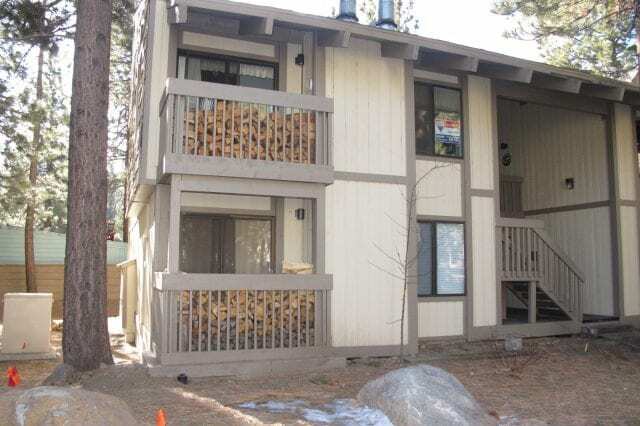 The nightly rental business would go from the sleepy, clandestine ways of the past to full blown business operations….Financial stress has always had a strange way of making things happen in Mammoth. Speaking of taxes paid for by the visitors, the major creditor settlement (Airport/Hot Creek/MLLA) that led to the Town exiting bankruptcy is now being backfilled by a tax known as TBID. This Tourism Business Improvement District is hybrid tax scheme used in tourism based areas. And even the locals have to pony-up. It started this summer. You may notice it, or not, depending on how the specific business is collecting it. If you buy alcohol at VONS it will be there on your receipt (figures I would know that). Some businesses have incorporated into the bill in other ways. It is 2% on lift tickets (ouch). But the sum total will provide the general haul of the Town enough to cover the $2 million per year settlement payoff. And it will throw a couple more million into marketing so that we can bring even more visitors into town to stay in our alleged sub-standard accommodations (real estate). Many local residents and business people are concerned about throwing more money into marketing; Is Mammoth going to become like some “As Seen On TV” product? Polished hype and promise of performance are great but the product has to live up to the marketing. Taking more money from our visitors is one thing, but at some point they will need to see some added value. Where is it going to come from, and in what form? Just more marketing isn’t going to work. Other resorts continue to kick our butts in service levels and amenities. Hubris has a record of failure in these mountains. This will eventually impact the real estate return on investment, especially for these “marginal” properties the visitors dread staying in. After all, tourists have budgets, options, and are more discerning and demanding all the time. Speaking of development, Rusty Gregory is recently trying to open a wider door for potential developers. He is arguing for the elimination of developer impact fees (DIF) and greater densities and building heights. The hotel industry is one of the darlings of Wall St., so maybe a “W” or a Ritz is on the Mammoth horizon? But this is all so 20 years ago. The more things change the more they stay the same. More of the “build it and they will come” mentality. The biggest problem with near-term development; the condo hotel unit values are stagnant. Oh, there has been a little upward movement since bouncing off the REO driven bottom. But the best market indicator is currently at the Westin Monache. The Westin has proved to be the highest occupancy levels, rental rates, and customer satisfaction. But the ultimate return on investment (ROI) for individual owners is getting crushed, even for those who entered at the lowest price points. The expenses tied to Westin management are just too high. Many “investors” are now bailing because the ROI is no better than a bank CD. Those owners who do actually use their units for some personal enjoyment become frustrated with the small space. So with values and ROI muddling-through, is Mammoth going to attract serious condo hotel developers? Again, we’ll see. They can probably buy the land cheap. And drought winters don’t help either. More and more local property owners have come to realize that Mammoth rentals only make sense if owner use and enjoyment is calculated in the return. “Reversion to the mean” is a buzzword in the financial world again. The local question is will some sort of reversion to the mean occur here in real estate due to all of the dynamics in play. We’ve been here before in the last 30 years; great appreciation followed by crash, distressed properties driving prices down, strong federal government interference (remember the tax code changes of 1986? ), upheaval in local government, recessions, drought, and more. Many don’t remember, but Mammoth real estate values moved sideways from the mid-80’s until the late 90’s. It was almost 15 years of going nowhere. It was a well established mean. So now that we have run through most of the distressed property cycle for now, and the general economy just muddles along, we’re back in a similar situation. Mammoth is searching for some “juice” but where it will come from is anybody’s guess. A stronger macro real estate market AND the Intrawest mojo did it last time. Starwood Capital has done next-to-nothing. I doubt a random boutique hotel project or two will do it. And the Chinese real estate investors don’t seem interested in Mammoth. There is no real “trigger” on the horizon. Einstein’s definition of insanity applies. Recent real estate sales show both upward and downward price movement. Lack of inventory has provided the impetus for most of the upward movement (and playing-off some good hype out of southern California). But the inventory could change at any time, especially if rental revenues flounder. The lack of inventory has certainly affected the velocity of sales (beware the hungry real estate agent). Stock market profits have funded many cash purchases of Mammoth real estate. Some are buying for another inflation hedge. Will we actually find some mean to property values and settle in there for the next 10-15 years? There are plenty of people who hope not. Meanwhile, there are many distortions in the bigger economy. The ones most likely to affect real estate are the Dodd-Frank regs and Fed policy ramifications. And the “extend and pretend” bank policies on distressed properties. I’ve put my crystal ball in storage for now. Ultimately, history has proven that the allure of Mammoth’s natural beauty, the temperate climate, and the endless recreational opportunities are what drive visitation and the desire to own a piece of this unpretentious little mountain town. Conversely, the chaos of metropolitan life only feeds the demand. And so far, the folks of Mammoth haven’t figured out how to screw that up. Real Estate Q&A: Drought, Gas Prices, and Inflation?? You Can Check-In Any Time You Like, But Can You Ever Leave?